Chain link: This fence is constructed using steel posts and chain link wire. The wire can be galvanized or vinyl covered. Fence wires are bent/twisted together in a pattern creating a diamond-shaped opening. These fences are one of the more economical varieties; barbed wire can be added to the top for security. Corner post: A corner post is found at each corner of the yard that is being fenced; it is where the fence changes direction. Double swing gate: A gated opening that has 2 gate sections, commonly used in areas that require a wide gate opening such as driveways. End post: This post marks the end of the fence line, typically at a gate or where the fence meets the house. Fenceline: The actual line the fence follows on the property. Frame hinge: The hinge that attaches to the gate frame and allows the gate to swing open and shut. Framework: The structure that supports fencing and gates. 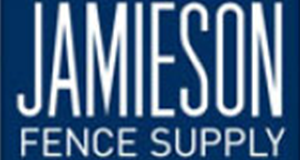 The framework includes posts, braces, top rails, and bottom rails. Galvanized: Galvanized iron or steel is coated with a protective zinc which prevents rusting. Gate: A door-like structure that allows you to enter and exit the fenced area. Gate frame: The structural pieces that make up the outline of the gate. Gate latch: A piece that holds the gate in place when closed. Gate opening: The open distance between the gate posts. Gatepost: The post to which a gate is attached by hinges and latches. Knotted: A type of fencing in which steel wire is knotted together vertically and horizontally. Lattice fencing: A type of wood fencing in which strips of wood are crossed and fastened together leaving square or diamond-shaped spaces in between. Ornamental fencing: Black decorative fencing made to look like cast iron. Not only defines the yard boundary but adds visual appeal to the yard. Perimeter fence: A fence placed around the outer boundary of a piece of property. Picket: Picket fences are often made of wood, but also can be made of aluminum, iron, and vinyl. The vertical pickets are evenly spaced out. They can be short to make a sweet garden boundary, or tall for a more private fence. Post cap: A square or round piece that sets down on the top of a fence post. Post caps keep water from entering the post and add a decorative look to the fence. Post hinge: The post hinge connects the gate to the gate post, allowing the gate to swing open and shut. Post & rail: A type of fence constructed from horizontal rails fastened to vertical posts. Post & wire: A lower cost alternative to post & rail in which wires are used instead of horizontal rails. 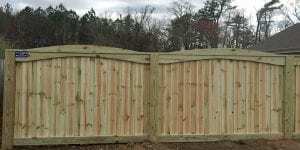 Privacy fence: Privacy fences can be made from wood, aluminum, or vinyl. Tall vertical pickets are placed close together to block views into and out of the yard. 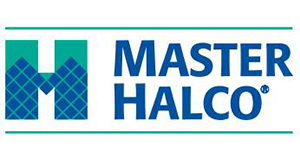 PVC: PVC, or Poly-vinyl chloride: is a coating you will find on certain fence materials. Rail: A horizontal piece of the fence to which vertical fence boards or pickets can be attached. Rail spacing: The measured distance between two rails on a fence. Rails can be spaced closer together or further apart depending on the functional need of the fence and aesthetic desires. Section: The area of fencing between two posts. 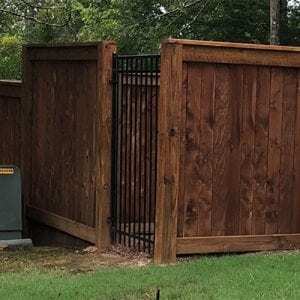 Semi-private: A semi-private fence provides a balance of airflow and privacy. Slight spacing between the pickets allows light and air to enter, while still offering just the right amount of privacy. Single swing gate: A gated opening that has one gate piece. Split Rail: A type of post and rail fence constructed with rough-hewn wood. Two or three horizontal rails are fit into notched posts. Stair stepping: This method is used to install a fence on a hill or steep grade. Fence sections are installed at incrementally decreasing heights, “stepping down” the incline in a stair step manner. Terminal post: This post is the load-bearing post for a line of fencing. It can be a corner, end or gate post. 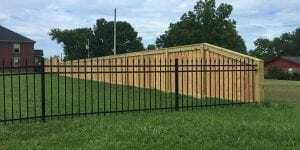 Vinyl fence: Vinyl fences are made of PVC plastic, and can be constructed to look like a variety of different fences such as picket, post & rail, privacy, or lattice. 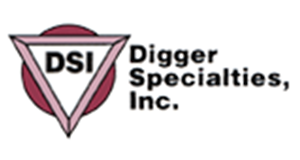 They are very easy to clean, have low maintenance requirements, and weather well over time. Wood fencing: Any fence constructed from wood. 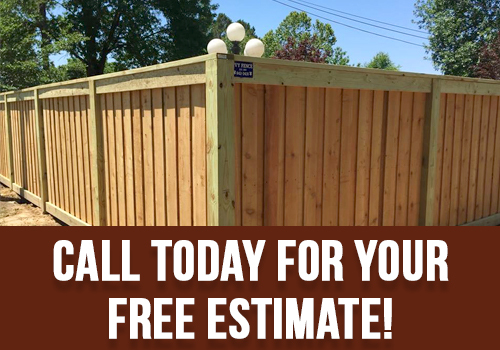 Wood fences require more maintenance than other fencing (painting or staining) to prevent weathering. Woven wire: This type of fencing is used for horses, goats, sheep, pigs, and poultry. It consists of checkered horizontal and vertical wires woven together and spaced closer together at the bottom and wider at the top to prevent animals from squeezing out, digging out, or climbing over. The wire fencing is attached to wood or metal posts. Wrought iron: Made of hardened, welded steel, making it incredibly strong and long-lasting. This is a more expensive fencing option that is both strong and adds ornamental design. Wrought iron fences do tend to rust. We use ornamental steel at Ivy Fence Company, giving you years to enjoy your fence. 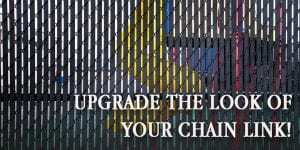 Upgrade Your Chain Link Fence with Slats!